Cochise was leader of the Chihuicahui local group of the Chokonen and principal chief of the Chokonen band of the Chiricahua Apache. A key war leader during the Apache Wars, he led an uprising against the U.S. government which began in 1861, and persisted until a peace treaty in 1872. Cochise County, Arizona is named after him. During the 1950s, Ansara appeared in several episodes of Alfred Hitchcock Presents . He appeared in a 1951 episode of The Lone Ranger titled "Trouble at Black Rock." In 1953, he appeared as Pindarus in Joseph Mankiewicz’ big screen adaptation of “Julius Caesar”, with Marlon Brando, James Mason and John Gielgud. However, the popular television series Broken Arrow (1956), wherein he played the lead role of Cochise, raised Ansara's profile and made him a household name. While making the series, the 20th Century-Fox publicity department arranged a date between Ansara and actress Barbara Eden. The two later married and Ansara guest-starred on Eden's I Dream of Jeannie series as the Blue Djinn, who had imprisoned Jeannie in a bottle. He also played King Kamehameha in the Jeannie episode "The Battle of Waikīkī", and in the final season, he played Major Biff Jellico in the episode "My Sister, the Home Wrecker." Michael Ansara and Barbara Eden divorced in 1974. The couple had one son together, actor Matthew Ansara, who died on June 25, 2001, of a heroin overdose. 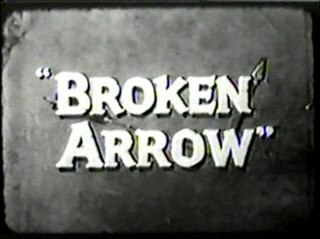 Broken Arrow is a Western series which ran on ABC-TV in prime time from 1956 through 1958 on Tuesdays at 9 p.m. Eastern time. Repeat episodes were shown by ABC on Sunday afternoons during the 1959-60 TV season and in an early evening timeslot Sunday evenings from April to September of 1960. A leading actor, leading actress, star, or simply lead, plays the role of the protagonist of a film, television show or play. The word lead may also refer to the largest role in the piece and leading actor may refer to a person who typically plays such parts or an actor with a respected body of work. 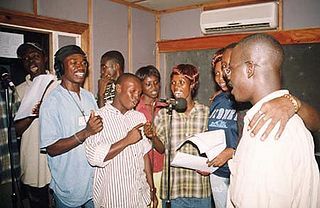 Some actors are typecast as leads, but most play the lead in some performances and supporting or character roles in others. Ansara starred in his own ABC-TV series, Law of the Plainsman (1959–1960), with Gina Gillespie and Robert Harland. He performed as an Apache Indian named Sam Buckhart, who had been appointed as a U.S. Marshal. The series began as an episode of The Rifleman . Robert "Bob" Harland, is an American actor whose principal work was performed on television in the late 1950s and 1960s. He appeared as a regular in the role of the young investigator Jack Flood on ABC's Target: The Corruptors! 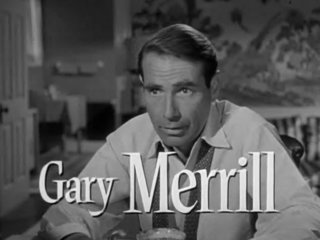 (1961–1962), co-starring with Stephen McNally as the syndicated newspaper columnist Paul Marino. Ansara also played in Biblical epics: The Robe (1953) as Judas Iscariot, The Ten Commandments (1956) as a taskmaster (uncredited), and The Greatest Story Ever Told (1965) as Herod's commander. He also appeared as Belshazzar in Columbia's 1953 movie Slaves of Babylon . The term Bible fiction refers to works of fiction which use characters, settings and events taken from the Bible. The degree of fictionalization in these works varies and, although they are often written by Christians or Jews, this is not always the case. 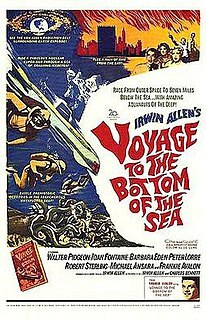 In 1961, Ansara played the role of Miguel Alvarez in the film Voyage to the Bottom of the Sea , co-starring with Barbara Eden and Walter Pidgeon, who played the role of Admiral Harriman Nelson. Ansara later appeared in an episode of the television series Voyage to the Bottom of the Sea , playing the rebel sub commander Captain Ruiz in "Killers Of The Deep" (1966). 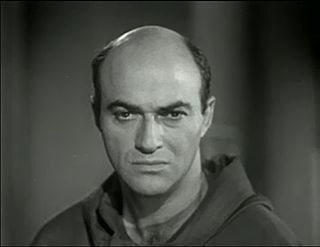 He also appeared in the episode "Hot Line" (broadcast on November 9, 1964) as a Soviet scientist who disarms a defective Soviet atomic satellite that has crashed off the coast of California and he appeared as Carl in the episode "Night Visitors" of the NBC anthology series The Barbara Stanwyck Show . 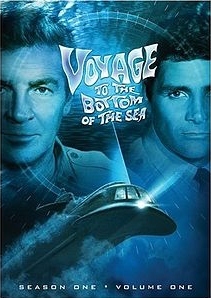 Voyage to the Bottom of the Sea is a 1961 American science fiction disaster film produced and directed by Irwin Allen and starring Walter Pidgeon as Admiral Harriman Nelson and Robert Sterling as Captain Lee Crane. The supporting cast includes Peter Lorre, Joan Fontaine, Barbara Eden, Michael Ansara, and Frankie Avalon. The story was written by Irwin Allen and Charles Bennett. The opening title credits theme song was sung by Frankie Avalon. The film was distributed by 20th Century Fox. Voyage to the Bottom of the Sea is an American science fiction television series based on the 1961 film of the same name. Both were created by Irwin Allen, which enabled the movie's sets, costumes, props, special effects models, and sometimes footage, to be used in the production of the television series. Voyage to the Bottom of the Sea was the first of Irwin Allen's four science fiction television series, and the longest-running. The show's theme was underwater adventure. He starred in a supporting role in the 1965 Elvis Presley film, Harum Scarum . His wife, Barbara Eden, had starred in an earlier Elvis film, 1960's Flaming Star . Ansara played the Ruler on episode 22, "The Challenge," of the television series Lost in Space (March 2, 1966) with a young Kurt Russell as his son Quano and, later that same year, appeared in the feature film Texas Across the River with Dean Martin. He also appeared on Daniel Boone as Red Sky in a 1966 episode. In another 1966 episode of that series, Ansara portrayed Sebastian Drake. He played two different characters in two episodes of the 1966 science fiction television series The Time Tunnel , Colonel Hruda in episode #11 and the Curator in episode #28 . In 1969, Ansara guest-starred in the episode "On a Clear Night You Can See Earth" as Murtrah in the ABC-TV series Land of the Giants . He also starred as the sadistic militant Diego in the film Guns of the Magnificent Seven. In 1973, he guest-starred in "The Western", the penultimate episode of the original CBS television series Mission: Impossible . In 1978, he starred in the acclaimed miniseries Centennial , based on the novel by James A. Michener. 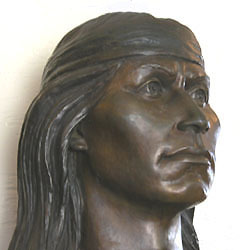 Ansara played the great Indian leader Lame Beaver, whose descendants are showcased throughout the centuries alongside the growth of the West and the town that the novel and miniseries are named after. Ansara played Kane in the 1979-1980 season of Buck Rogers in the 25th Century . He narrated Paul Goble's "The Gift of the Sacred Dog" at Crow Agency, Montana, on June 17, 1983, and Sheila MacGill-Callahan's "And Still the Turtle Watched" on October 21, 1993, on the PBS series Reading Rainbow . In recent years, he performed voice-acting as Mr. 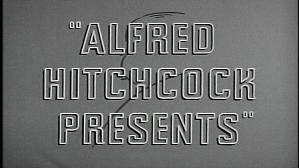 Freeze in Batman: The Animated Series , as well as the animated film Batman & Mr. Freeze: SubZero , an episode of both The New Batman Adventures and Batman Beyond and the video game Batman: Vengeance . Claude Aubrey Akins was an American character actor with a long career on stage, screen, and television. He was best known as Sheriff Lobo on the 1979-1981 television series B. J. and the Bear, and later The Misadventures of Sheriff Lobo, a spin-off series. 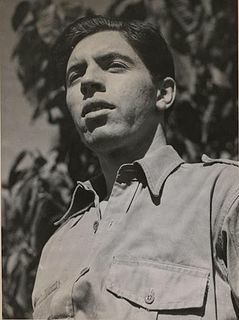 Michael Pate was an Australian actor, writer, director, and World War II army veteran. William Henry Rorke, known professionally as Hayden Rorke, was an American actor best known for playing Colonel Alfred E. Bellows on the 1960s American sitcom I Dream of Jeannie. Rick Vallin was an actor who appeared in more than 150 films between 1938 and 1966. Dayton Lummis Sr., was an American actor of film and television who specialized in the genre of anthology and western series, often playing authority figures. From 1959-1960, he appeared as Marshal Andy Morrison in nine episodes of NBC's Law of the Plainsman western, with Michael Ansara and Robert Harland. In 1955, he portrayed General Douglas MacArthur in the film The Court Martial of Billy Mitchell. Americo Zorilla "Rico" Alaniz was a Mexican-born American actor in film and television best known for his role of the peaceful Cheyenne informer "Mr. Cousin" in sixteen episodes from 1955 to 1959 of the ABC/Desilu western television series, The Life and Legend of Wyatt Earp, with Hugh O'Brian in the title role as deputy Marshal Wyatt Earp. ↑ Eden, Barbara; Leigh, Wendy (2011). 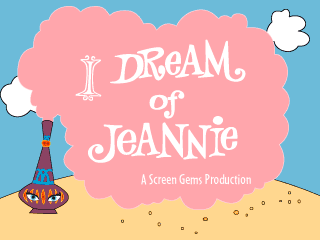 Jeannie Out of the Bottle. New York City: Crown Publishing Group. ISBN 978-0307886958. ↑ Radical Citizenship. Working Papers for a New Society. 2–3. London: Cambridge Policy Studies Institute, & Bouchier. 1974. p. 28. 1 2 Peterson, Alison J. (August 2, 2013). "Michael Ansara, Actor Who Played Cochise and Kang, Dies at 91". The New York Times . New York City: The New York Times Company . Retrieved August 2, 2013. ↑ Associated Press (August 3, 2013). "Michael Ansara, TV and movie actor raised in Lowell, dies". The Sun . Lowell, Massachusetts: MediaNews Group . Retrieved August 3, 2013. 1 2 Everett Aaker (May 27, 2017). Television Western Players, 1960-1975. New York City: McFarland & Company. p. ii. ISBN 9781476662503. ↑ "Michael Ansara". IMDb. Retrieved 2016-07-27. ↑ "Michael Ansara | Hollywood Walk of Fame". www.walkoffame.com. Retrieved 2016-07-27. ↑ "Michael Ansara". latimes.com. Retrieved 2016-07-27. ↑ Alison J. Peterson (August 2, 2013). "Michael Ansara, Actor Who Played Cochise and Kang, Dies at 91". New York Times. ↑ "Barbara Eden's Son Found Dead". ABC News. 2006-01-06. Retrieved 2016-07-27. ↑ "Tragic Waste : People.com". www.people.com. Retrieved 2016-07-27. ↑ "Barbara Eden on Son's Overdose". ABC News. 2006-01-06. Retrieved 2016-07-27. ↑ "Michael Ansara, Actor Who Played Cochise and Kang, Dies at 91". The New York Times. August 3, 2013. Retrieved May 10, 2016. ↑ Goodman, Jessica (August 2, 2013). "Michael Ansara Dead: 'Star Trek' Actor Dies At 91". Huffington Post. ↑ Wilson, Scott. Resting Places: The Burial Sites of More Than 14,000 Famous Persons, 3d ed. : 2 (Kindle Locations 1357-1358). McFarland & Company, Inc., Publishers. Kindle Edition. Wikimedia Commons has media related to Michael Ansara .